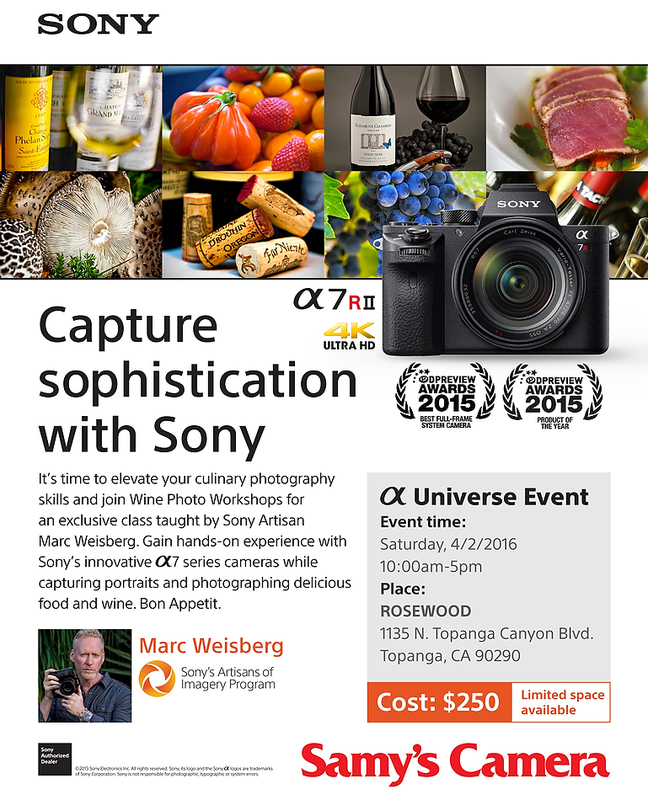 I hope you’ll join me in Los Angeles for a Food and Wine Experience sponsored by the good folks at Samy’s Camera and Sony. Celebrity chef Lisa Schoen https://talktochef.com/lisa-schoen will be in the house doing the food styling. *When: April 2nd, 10am-5pm – Topanga Cyn, LA. *Experience a professionally styled food and wine shoot. *Hands on food & wine photography with natural and continuous lighting. *Build your food and wine portfolio. *Use the latest Sony mirrorless cameras and lenses for the day. *Taste a selection of curated wines from boutique Califronia wineries.